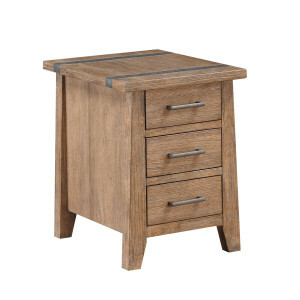 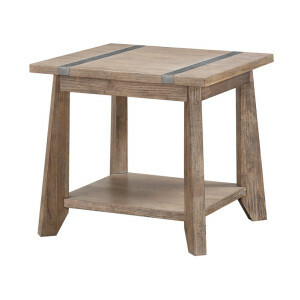 Boasting planked tops of flat cut oak accented by the signature metal strapping of the Viewpoint Collection from Emerald Home, this upbeat occasional table group will be a hip addition to your home décor. 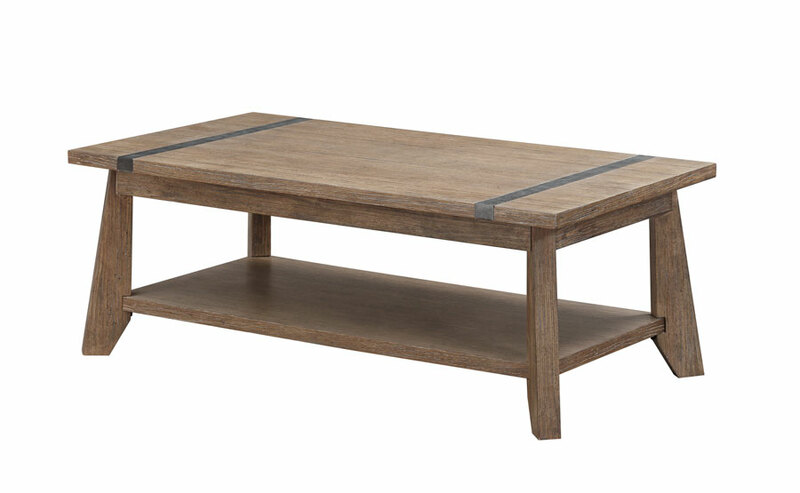 The group is fashioned in today’s popular Driftwood finish featuring soft gray and subtle brown wood-tones that will blend with a wide range of upholstery applications and colors. 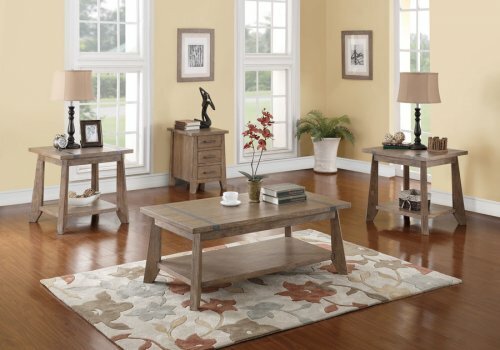 The coffee table and end tables feature a shelf below the primary surface and the perfectly sized chairside table has three storage drawers with full extension, ball bearing drawer guides for easy operation. The legs are tapered and cut at a chamfer giving a unique geometric quality to this group.